The Eads Bridge was first opened to the public July 4, 1874. Modernizing the Victorian Era bridge includes sandblasting about nine coats of paint off the bridge’s ribbed arch spans and coating them with protective sealant, replacing track supports, track and rail ties, and patching masonry. Nations says work on the bridge will begin in the next few weeks. More than 300 jobs are expected to be created during the project. 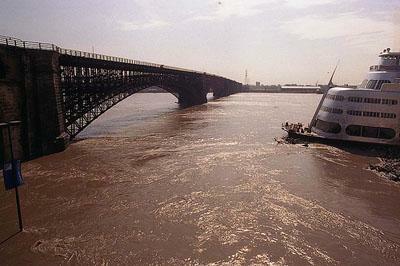 2011 will see some major work on the Eads Bridge over the Mississippi River. Metro, which owns the bridge, says time and weather have deteriorated the 136-year-old structure. Metro President John Nations says the agency will use $24.5 million in federal stimulus funds to replace and repair structural elements on the bridge, as well as apply a protective coating on the steel. As part of ongoing construction efforts, the Eads Bridge will be closed this weekend. The bridge will be closed to all traffic beginning at 8 p.m. Oct. 21 (tomorrow) and will reopen at 3 a.m. Oct. 24 (Monday). 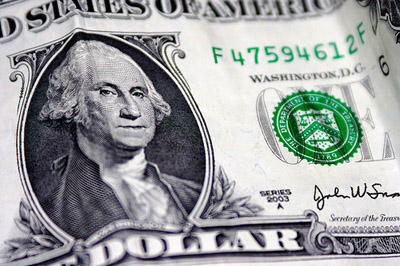 A federal stimulus program to help stabilize state budgets is coming to a close tomorrow. The government provided some $90 billion in emergency funds to help state government get past collapsing tax revenues, and help pay for such services as education and health care. Now, states are having to slash spending. Adam Allington reports for Marketplace, that states are bracing for some painfully difficult decisions. When it comes to making some budget cuts, their hands are tied. Listen for the report tonight on Marketplace, starting at 6 p.m.